The Christian Science church lost a big one in Congress last fall despite investing years of ground­work and outlay for lobbyists. Anticipating a national health insurance man­date, the church placed scores of op-eds in newspapers arguing for “inclusion” of “spiritual health care” in health care plans. Aping medical terminology, the church calls the faith healers “practitioners,” their prayers “treatments,” and the people they pray for their “patients.” The practitioners bill for their prayers. The church was attempting to mandate that insurers reimburse for “treatments” consisting only of prayer. Church lobbyists told the press that about 300 insurance companies used to reimburse for Christian Science “treatment,” but with the advent of managed care most insurers now require a medical diagnosis before they will pay for health care. The church wants public and private insurers to pay for the prayer treatments without a medical diagnosis. The arguments were disingenuous on several levels. Medicare and Medicaid do pay for Christian Science “nursing” given in the church’s “sanatoria,” but the church was now asking for public subsidy of the bills their faith healers send for their prayers. Furthermore, in 1996 CHILD and two U.S. citizens filed a taxpayer suit against the federal government challenging the Medicare/Medicaid payments for Christian Science nursing. 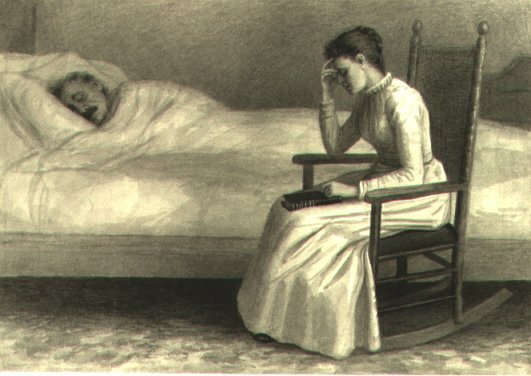 The church joined the suit as a defendant-intervenor and insisted that the nursing care being reimbursed by public money was secular rather than “spiritual care.” The payments were upheld by the federal courts on the rationale that the nursing care was secular and “a subset of medical care.” CHILD v. DeParle, 212 F.3d 1084 (8th Circuit, 2000). In September we heard that Congressman John Shimkus, R-Illinois, whose district includes a Christian Science college, was sponsoring a similar amendment to the House Energy and Commerce Committee’s health care bill. We called an E&C Democratic staffer and asked if a mandate to pay bills for prayers was being added to the bill. She was startled at the question and was sure it would not be. When we told her we had read that Shimkus was sponsoring such a provision, she said he was in the minority and the Democrats didn’t take direction from them. .
A few hours later, however, she called us back and sheepishly admitted that the Shimkus amendment was in the bill (HR3200 §125), but that the staff just had not realized that “religious or spiritual health care” included prayers and that people were sending bills for prayers that would be reimbursed under the provision. The Christian Science church had cleverly tied the reimbursements to religious methods that the IRS allowed to be deducted as medical care expenses. Congressional staffers likely assumed that the IRS had some standards related to effectiveness. Thus, the only real criterion was that the person paying for the service believes its primary purpose is to heal, prevent, relieve, or diagnose disease. If the customer believed that, then the service was deductible medical care. Thus, the only real criterion was that the person paying for the service believes its primary purpose is to heal, prevent, relieve, or diagnose disease. If the customer believed that, then the service was deductible medical care. IRS policy may not have cost the public much money yet because most religious ministers do not send bills for prayer or ritual and because one can deduct only medical care bills that exceed 7.5% of his adjusted gross income in a given year and then only a percentage according to his tax bracket. These practitioners set their own rates, but sometimes their charges are indeed comparable to medical bills. In 1989 Christian Science healer Mario Tosto charged parents $446 for two days of prayer-treatment for Ian Lundman, an 11-year-old Minnesota boy with diabetes. The boy died. In Michigan an insurance company balked at paying a Christian Science practitioner’s bill of $1,775 for prayers n top of medical bills for the patient. The couple sued the company. The company settled out of court. Stephenson v. State Farm, 48th Dist. Court, as reported in Michi­gan Trial Law­yers Association newsletter, October 1986, page 22. Beyond the money, however, CHILD’s main concern was that provisions forcing insurers to pay for prayer and calling prayer and other religious rituals medical care could preempt the states’ child abuse and neglect laws. If federal law called prayers medical care, then parents relying exclusively on prayer might have grounds to claim that they were providing their sick children medical care and therefore not negligent. American Humane Association, American Professional Society on the Abuse of Children, Every Child Matters Education Fund, and the American Academy of Pediatrics signed on to one of our letters to Congress. Later, the Child Welfare League of America wrote its own letter to Congress against the prayer-fee mandates. Secular humanist organizations, including Freedom from Religion Foundation, American Atheists, and Secular Coalition for America asked their members to voice their opposition to Congress, and many did so. Americans United for Separation of Church and State met with congressional staffers and watchdogged the committee processes. CHILD set in motion press coverage that snow­balled. The Los Angeles Times, Chicago Tribune, Washington Post, and New York Times wrote articles on the mandates that were picked up by many other newspapers. “Should Universal Health Care Cover Faith Healing?,” asked a TIME magazine article. Wherever the articles appeared, dozens of readers posted indignant comments. Senators John Kerry, D-MA, and Orrin Hatch, R-UT, had offered a “non-discrimination” prayer-fee amendment to the Senate Finance Committee’s health care reform bill. Kerry’s staffer Whitney Smith defended the amendment to the Los Angeles Times, claiming that it was not a mandate. We immediately wrote her pointing out that it said in plain English that the insurer could not deny benefits for “religious or spiritual health care” that are recognized as deductible by the IRS. With the gathering storm of protest, the Senate Finance Committee voted out its bill without the Kerry-Hatch amendment. That left a prayer-fee amendment only in the Senate HELP Committee’s bill. Iowa Senator Tom Harkin had become its chair after Ted Kennedy’s death, so I made several trips to Harkin’s local office. The Christian Science church asked every member to write an e-mail to Senators Chris Dodd, D-CT, Max Baucus, D-MT, and Harry Reid, D-NV, who had to merge the two Senate committee bills into one. The church provided a sample letter claiming that the member had found Christian Sci­ence to be “an effective form of health care” and insurers must be prohibited from “discriminat[ing] against religious or spiritual health care.” The church delivered 11,000 e-mails to the Senators. The church also paid the Mayer Brown law firm in Washington $150,000 to lobby for the prayer-fee mandates in 2009. We believe Congress should have held hearings on the effectiveness of “religious or spiritual health care” before mandating that insurers and the public pay for it. We have members who are disabled because of their parents’ religious beliefs against medical care. One member recently had to have her leg amputated after decades of suffering caused by osteomyelitis that went untreated because of her parents’ Christian Science beliefs. It is quite offensive to many of us that we should have to help pay for Christian Science prayer treatments. We wish the government would confine its mandates upon the insurance industry and its public option coverage to evidence-based health care. The government should not be promoting, subsidizing, or mandating reimbursements for prayers. In December the merged Senate health care bill appeared. The prayer-fee mandate in the HELP Committee bill was not in the merged bill. Thousands of amendments were filed as the bill went to the floor. Our special thanks to Cindy Pellegrini of the American Academy of Pediatrics who carefully combed through the amendments and the gargantuan bill to determine that it had no reimbursement for “religious or spiritual health care.” The bill passed the Senate just before Christmas with no reference to faith-based health care. The mandate certainly stuck in the craw of the Swan family. In 1980 we filed the first wrongful death suit against the Christian Science church and its practitioners. Our complaint charged that they had breached duties they owed to Matthew and us. Top church officials strenuously denied having any kind of a health care system or the responsibilities that go with it. They swore under oath that the church has no “supervisory control” over its practitioners, that it does not “ever evaluate a practitioner’s judgment about the condition of sick children,” that it has no training, workshops or meetings for practitioners that “include any discussion on how to evaluate the seriousness of a child’s condition,” that it has never “named the death of a child as a grounds for revoking a practitioner’s listing,” and that it keeps no records on children who die while receiving Christian Science treatments. But in 2009 the church spread the word throughout the land that they had a spiritual health care system that the government should mandate reimbursements for. This time they lost. Sources include: depositions of Hal Friesen, Ruth Jenks, and A. Dean Joki in case #80 004 605 NI, Wayne County Circuit Court, Detroit; Rita Swan, “Does one bizarre health care policy merit another?,” Cedar Rapids Gazette, Oct. 18, 2009; and “No prayers in health bill,” Boston Globe, Nov. 27, 2009.